Former President Barack Obama was in Chicago Sunday to stump for Democratic candidates. Last week, former Vice President Joe Biden was in west suburban St. Charles to rally support for congressional candidate Lauren Underwood. President Donald Trump stopped in southern Illinois to boost several suburban Republican candidates Oct. 27, and Speaker Paul Ryan hit the western suburbs Friday. Will these high-profile pitches help push candidates into the “win” column Tuesday? In the governor’s race, Gov. 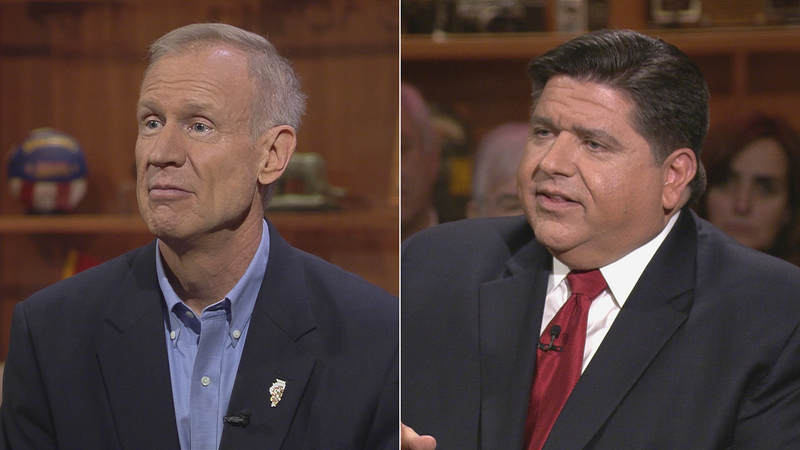 Bruce Rauner is hoping that the double-digit lead of his Democratic opponent J.B. Pritzker is closing. Last month, Pritzker was hit with a racial discrimination lawsuit and a week later fired two campaign workers for posting a photo on social media showing one of them wearing a charcoal face mask resembling blackface. Meanwhile, Rauner is dealing with the fallout of a WBEZ investigation that found state health officials knew about the release of 1,600 gallons of Legionella “broth” into the water system of the Quincy veterans home shortly before 12 residents died. The four candidates vying to become Illinois’ next governor have spent a remarkable amount of money so far: $284 million. That amount has broken the record once held in the 2010 California gubernatorial race. In the race for Illinois attorney general, Obama has cut a radio ad for Democrat Kwame Raoul to boost his chances against Republican Erika Harold, who is closing in on Raoul’s lead. Illinois House Speaker Michael Madigan donated $1 million into Raoul’s campaign coffers Friday for a last-minute push. In the race for Illinois comptroller, Republican Darlene Singer has called for Comptroller Susana Mendoza to drop out of the race after an ad for Mendoza’s possible mayoral bid leaked out. Mendoza’s political consultant took the blame for the mistake and Mendoza had refused to abandon her statewide re-election bid. Meanwhile, Cook County Board President Toni Preckwinkle is running for countywide re-election, and has already officially announced she’s running for Chicago mayor, minus any political posturing. Preckwinkle, in her role as Cook County Democratic Party chair, is also sending money to Cook County Board races to flip Republican county board seats. In the Cook County assessor’s race, Fritz Kaegi has a Republican opponent, but was left off the Democratic sample ballot. And in two of the most-watched congressional races, U.S. Rep. Peter Roskam (R-6th) is running neck-and-neck with entrepreneur Sean Casten. And the race between U.S. Rep. Randy Hultrgren (R-14th) and Democratic newcomer Lauren Underwood is also a toss-up. Joining us to share their insights and opinions are Kristen McQueary, a columnist and editorial board member of the Chicago Tribune; Heather Cherone, managing editor of The Daily Line; and Laura Washington, a columnist with the Chicago Sun-Times and a political analyst for ABC 7 Chicago News.